Safe and supportive is the foundation of a school where every student develops the academic and social/emotional skills necessary to be successful in our global world. Beyond opportunities to learn, schools, must now be prepared to provide specialized medical, social and mental health services. This new order requires appropriate space, equipment and training. It requires a budget that adequately endorses our most notable needs. More importantly, it requires the school and community to be collaborative partners; that is to collectively see and create a bright future. This article is the second in a series to provide the Milton Community with an inside look at the MTSD proposed budget and to understand the rationale for changes so that we may collectively serve our most precious asset, our children. The MTSD building and district administrators engaged in a very robust budget development process from September - December. One goal was to identify needs for programming that would help us move the needle on our continuous improvement plan. The three areas of that plan are related to improving: student achievement, the social/emotional health of students, and school climate. Each of the positions below address one or more of these areas for improvement. They will help us achieve the vision of learning we have for all our students to be successful now and in the future. English Language Learner Teacher (.50 FTE) - The recommended ratio of ELL Teacher to English Language Learner is 1:25. In the 2019-2020 school year we are projected to have approximately 60 ELL students in Pre-K-12. MES/MMS Restorative Practices/Harassment and Bullying Coordinator (1.00) - Vermont Agency of Education is recommending Restorative Practices approach; a systems approach to harassment and bullying prevention and as a way to improve school climate. To ensure success, a targeted position that could provide prevention and intervention support, training and outreach is necessary. It would also minimize school counselors’ participation in investigations; a conflict of interest for them professionally. MHS English Teacher (1.00) - A full time English teacher would fill the gap that exists in section numbers and also right size classes. At this time, there are sections with 28-30 students. We would also be able to offer more variety of classes especially for seniors as they prepare for College and Career Readiness. MHS Pathway Coordinator (1.00)- This position would ensure that personalized learning opportunities are available and accessible to all students on and off site. This person would be responsible for coordinating the state mandated Personalized Learning Plan process through the Teacher Advisory (TA) curriculum planning. They would also be the School to Career liaison - forging partnerships with local organizations for students to access job shadows, internships and school to work programs while earning credit for graduation. Milton is one of the few high schools that does not have a position dedication to Flexible Pathways and this is putting our students at a disadvantage. Safe and supportive is the foundation of a school where every student develops the academic and social/emotional skills necessary to be successful in our global world. Beyond opportunities to learn, schools, must now be prepared to provide specialized medical, social and mental health services. This new order requires appropriate space, equipment and training. It requires a budget that adequately endorses our most notable needs. More importantly, it requires the school and community to be collaborative partners; that is to collectively see and create a bright future. This article is the first in a series to provide the Milton Community with an inside look at the MTSD proposed budget and to understand the rationale for changes so that we may collectively serve our most precious asset, our children. Our student data - academic and discipline along with other measurements related to mental health, youth risk behavior, homelessness and food security show an increasing number of students who are struggling to access their learning in meaningful and productive ways. Despite the changing needs of our students, our organizational structures are exactly the same as they were in 1918 when compulsory education in the United States began to take hold. If we want to ensure coherence in programming (including an array of wrap around academic, health and social services), transitions, family involvement, and community partnerships then we need a system that can effectively integrate all available resources and opportunities to target the development of the whole child. As a starting point, we are proposing a new organizational structure in the elementary school. The new structure calls for one principal, PreK-5, and three developmental teams: PreK-K; 1-2 and 3-5. The PreK-K team would be facilitated by an Early Childhood Coordinator while the 1-2 and 3-5 teams would be facilitated by Assistant Principals. In addition, a Coordinator of Social Emotional Learning would be shared between the 1-2 and 3-5 teams. This new structure would eliminate the existing silos between early education and the elementary grades and provide continuity and flexibility for student transitions especially between Triple E/PreK, Kindergarten and First Grade. The model would also provide the infrastructure for teams to creatively and flexibly address increasing complex and diverse needs of students. These teams would improve the effectiveness of opportunities and services for all children by ensuring timely coordination and continuity across all stakeholders - teachers, families and service providers. Other advantages of this new model include: clear lines of decision making and communication; a principal focused on instructional leadership; and two assistant principals to address behavior in both a more preventative and effective manner. An organizational structure more suited to addressing the needs of all learners would not only improve academic outcomes and social/emotional support for all students, it may in turn also minimize the number of students who must attend out of district placements. As members of a community, we naturally come together in response to critical incidents especially those that have an immediate impact on life, limb or livelihood. When misfortune is visible, people rally. Likewise, as intelligent beings, we are learning from the tragedies of our time. We are taking preventative measures that are tangible, technical in nature - key badges, smoke detectors, security cameras, specialized training and the like. This new order required a shift in our mindset. Unfortunately, we are less likely to rally around conditions that we don’t observe or understand; even when they exist in our own community. It may be homelessness, drug addiction, incarceration, mental illness, domestic violence, resource insecurity or access to health care. These conditions of chronic stress and trauma often impede members of the community from leading productive lives. For children, these conditions adversely impact their readiness or availability to learn. These children are members of our community, attending our school and due to the changing social fabric, they are increasing in number. If we believe that every child deserves to be well educated, to be prepared for success in college, career, and a democratic society - to live happy and fulfilled lives, and productively contribute to safe, vibrant communities then collectively, a new mindset for safe and healthy schools that support the needs of all learners must happen. The statistics are staggering. The CDC et al. report that 90% of children will experience some form of trauma, 1 in 5 children live in poverty, 10% are impacted by chronic toxic stress, and anxiety and depression affect 1 in 7 children between the ages of 6 and 17. Additionally, the infiltration of technology continues to alter our behavior and impacts development in ways we have yet to fully understand. To that end, no longer can we settle for schools designed to teach reading, writing and math. No longer can we settle for schools that solely support the social development of neurotypical, middle income children who attend school ready to learn. No longer can we believe that the children who have problematic behaviors just need to be punished and/or removed from class. Experience - discipline data, proficiency data, and longitudinal data associated with the ills of our society clearly demonstrates that this approach does not serve our children or our long term goal for safe and vibrant communities. The new mindset must take into consideration and be responsive to the root causes of why some children are not ready to learn. It must support the development of systems with a range of interventions that can alter the typical downward spiral of our most vulnerable youth. Just as the shift in mindset for equipping our schools with the hardware necessary to be safe so must we shift our mindset for designing and funding systems of education that truly support the needs of all learners. I just finished listening to the VPR Podcast, Jolted: The story of a school shooting that didn’t happen. Initially, I was conflicted about VPR exposing Jack Sawyer’s story and illness in this way. In the end, upon reflection, I did appreciate the co-producers purpose; that is to raise awareness of the deep interconnections between school, community and the State as it relates to health, safety, policy and practice. Once again, I am reminded that schools can’t effectively address the diverse and complex needs of children and families in isolation. Our work depends on support from political leaders, healthcare and social service providers, and the community. Linda Darling-Hammond, a well known education researcher highlights four area as the focus for safe and healthy schools: environmental design; a social/emotional curriculum; resources and training for staff, and an explicit mission dedicated to social/emotional learning as well as academic. Although I agree, I also believe a fifth element is critical. Within today’s new social order, we must braid the strands of education, extended school day and school year opportunities, healthcare and human services together. Only in this way can we expect to achieve a vision of learning in which all students graduate from high school prepared for success in college, career and in a democratic society. Ambitious - undoubtedly, but not impossible. It takes a vision and a commitment - not just within the school, but within the community. Then tiny edges, including a new mindset, new conceptions of the future in the school and more importantly, in the community, and a new design of the system both internally and externally. Although tiny edges have been taking place inside the walls of the MTSD schools, the occurrences are in pockets that are often not coordinated PreK-12 or across whole child needs like learning, nutrition, mental or physical health or after school care. To that end, MTSD is beginning to take steps toward creating and enacting a vision of education that better addresses the whole child. As we know, early childhood development has a direct effect on overall engagement and growth and on the student and adult they will become. Investing in a comprehensive program that addresses the needs of the whole child during this period is a priority. Currently, the MTSD is examining its Prek-2 system and beginning the design work to ensure coherence in programming (including an array of health and social services), transitions, family involvement, and community partnerships. A system like this that is an integration of all resources and opportunities that enable the development of the whole child begins with a new organizational structure. A structure that has the ability to break free from isolationism, identify the values and ideas to guide mutually beneficial systems integration, and then has the capacity to implement the strategies necessary to institutionalize a whole child design. Safe and supportive is the foundation of a school where every student develops the academic and social/emotional skills necessary to be successful in our global world. The social fabric of our Nation has altered. Beyond opportunities to learn, schools, must now be prepared to provide specialized medical, social and mental health services. In addition, they must be equipped to protect children from the possibilities of violent intrusions. This new order requires appropriate space, equipment and training. More importantly, it requires the school and community to be collaborative partners; that is to collectively see and create a bright future. This article is the first in a series to provide the Milton Community with an inside look at the progress the MTSD is making within these areas in order to strengthen our partnership on behalf of our most precious asset, our children. It is not necessary to recap the stories or statistics that have compelled schools to prioritize safe and secure facilities. Tragically, it is our reality. Therefore, our focus is twofold: first, create a secure facility while maintaining a welcoming, community oriented environment. Second, prepare all stakeholders - in and outside the building, to respond in the most effective way possible. The MTSD is in the process of many new facility upgrades to enhance school security. These include, the schools’ public announcement (PA) systems, door lock security, and cameras. The funding for these items are being shared between a recently received Vermont Safe and Secure Schools grant and our MTSD capital fund. When completed, each of the school’s PA systems will have the capacity to be heard anywhere in the building. A new door security system will ensure scheduled door locks are reliable, that key codes are operational, and that we have the capacity to quickly and simultaneously lock all exterior doors. Camera upgrades will include additional external, higher quality resolution cameras for Herrick Street schools. ALiCE is the nationally recognized prepare and response approach for schools in the event of a violent intrusion. Over the summer, administrators attended an ALiCE training. We learned about the response options - Alert, Lockdown, Inform, Counter and Evacuate, and how to train, communicate and drill the ALiCE approach with all stakeholders. Currently, the schools conduct lockdown and evacuation drills with students. These drills will continue. Meanwhile, we will extend staff training to include all elements of ALiCE. In order to do this as quickly as possible, we have purchased the ALiCE online training module. After staff complete the module this fall, we will be positioned to conduct faculty/staff ONLY scenario drills. This will increase our confidence and competency for emergency preparedness. Additional steps regarding the ALiCE implementation especially as it relates to students and families will be outlined in our new Safety Action Plan which will be shared well in advance of any action being taken in the schools. On August 18, 2018, the MTSD Board and Superintendent held a full day retreat. This report is a summary outline of the retreat. Foremost, the MTSD Board Trustees and Superintendent are very excited to be working together. It is our collective commitment to have a partnership defined by strong, mutual accountability to assure that all students receive a high-quality education and taxpayers receive an excellent return on their investment. Our first order of business was to establish common agreements. These agreements center on Board Trustees and Superintendent roles and responsibilities, handling complaints, communication between meetings, and the role of committees. In addition to establishing common agreements for a positive and productive working relationship, we identified both short term and long-term goals for achieving our collective commitment. Continue the focus on space utilization and school safety. Utilize monitoring results to prioritize programming in order to create a budget that accurately reflects our needs. Engage the community in a visioning process that will guide the development of a 3-5 year strategic growth plan for the MTSD. Develop a systematic process for measuring, reporting and responding on the goals identified in the strategic plan. I am an educational leader who is passionately committed to learning that encompasses equity and excellence for all students, the collective capacity of the professional staff, and my own growth and development as an educator. I am also passionately committed to a shared model of leadership; one that includes teachers, the voices of students, and provides opportunities for each member to develop his/her own leadership skills in authentic and meaningful ways. I believe that a school district is a learning organization, and the educational system is built on the tenets of rigor, relevance, relationships, and shared responsibility. Students are at the center and are empowered to take ownership of their learning and future while being supported by collaborative, symbiotic partnerships with all stakeholders. 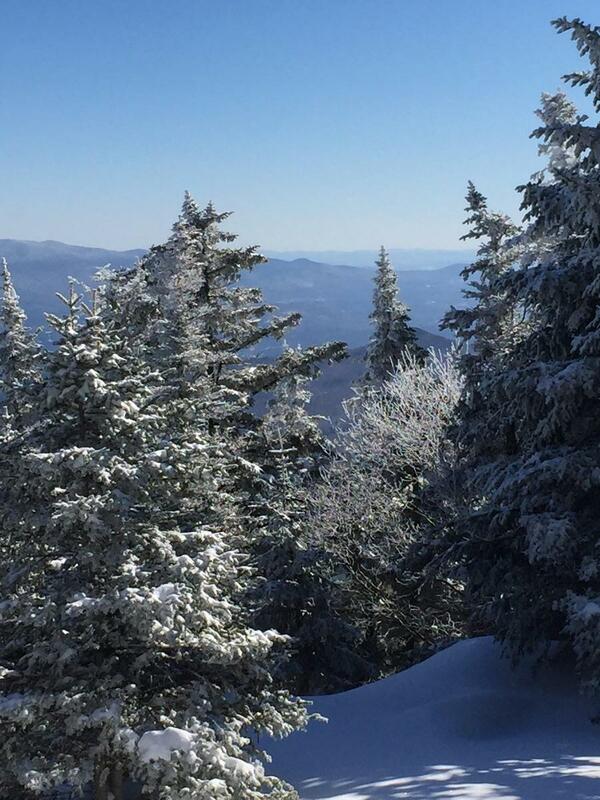 I am also passionately committed to the cultural and physical landscape of Vermont which at times seems to be one of the same – formidable courage and perseverance, tranquil beauty, and stoic humor drawn together by a common experience and appreciation for community. It is the cornerstone of Vermont public education. I continue to learn and be active professionally connecting and serving via regional and state networks like the Vermont Superintendents Association and the Vermont School Boards Association as well as New England and National organizations like the Nellie Mae Foundation, the Association for Supervision and Curriculum Development, and AASA - School Superintendents Association. I continue to learn everyday - from faculty/staff and students, community and through professional networks and relevant courses in the field of education, policy, and administration. 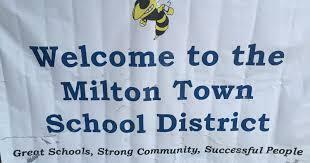 I am honored to be the new Milton Town School District superintendent. 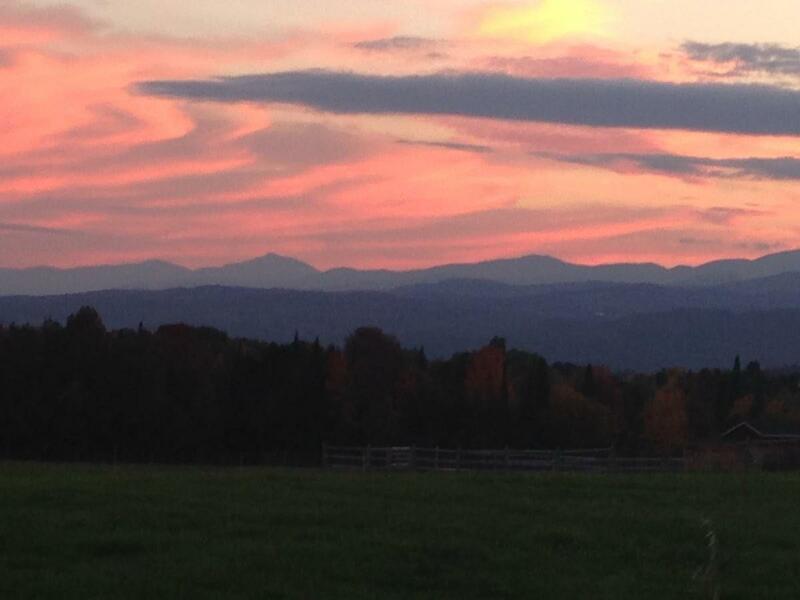 In my eyes, Milton reflects the values of Vermont to which I have grown so attached. My early visit highlighted a community of genuine, hard working and caring people; I felt very connected. I am excited to learn every day from my faculty and staff, students, parents and community. It feels like a natural fit, and I look forward to my service to Milton in the role of superintendent.